Everyone who has taken part to any mentor sessions know how beneficial mentoring can be. In a really short period of time you can gain insight knowledge that could have taken a significant amount of time and money to figure out yourself. Mentoring is getting more attention and not for nothing. Todays business world is transforming in a fast pace and it is impossible for one person to keep up. New accelerators and startup centers, where starting founders can find knowledge in a wide range, are arising. This is really valuable thing, since you don’t need to know everything, but to find right people who are willing to help you tackle the obstacles. In *ship we aim to bring the coolest mentors: founders, investors and educators, from Finland and all over the world to help the next generation of entrepreneurs. For the past two year, one of these startup mentors has been Tuukka Ylälahti. 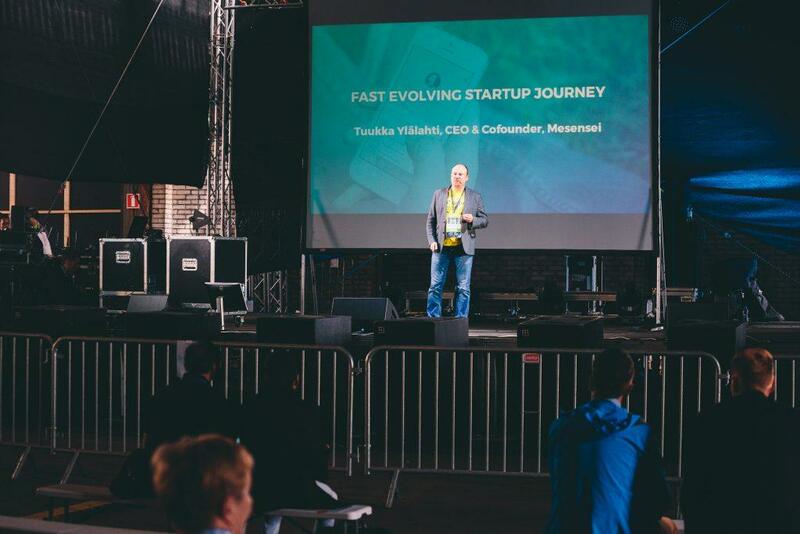 Tuukka has one exit on his sleeve form Cabforce, an online taxi booking service and now starting his second round with Mesensei, mentoring app which we had in a test run at our previous *ship -event. What a great time to interview the founder of a mentoring app about mentoring and to get some insights on their journey and how mentoring has helped Tuukka. Q: What does startup mentoring mean? A: Like with all things startup, startup mentoring is lean, fast and intense. What I look at in startup mentoring is the essence of why mentorship happens in the first place: learning from someone’s experiences. If we take this view, then startup mentorship is –at least for me personally– about making sense of the startup journey. This is derived from my personal experiences between the first and second startup. When I created Cabforce I didn’t know anything about building startup ventures. We just winged it. Came up with stuff as we went on. That is definitely the best way to learn, but there is no point of making the same mistakes and missing the same opportunities only the experienced startup veterans know. Startup mentorship in this context is about learning about the nature of startup ventures and gaining contacts to dramatically reduce the time needed in building success. Not to even mention avoiding the silliest pitfalls and the worst risks that would run any venture aground. Q: How should you approach a mentor and what kind of questions should you ask from them? A: This is a good one. The very fundamental condition of doing something for the first time is that “you don’t know what you don’t know”. It’s called the Dunning-Kruger effect. If you would know the questions you need to ask, you wouldn’t need to ask them in the first place! So don’t assume you need to know the questions. Experienced mentors help you and guide you to the right path toward the right questions. To do that, they need to know where you are now and where you are going. So start with something concrete, like: we believe doing things xyz takes our startup to the next level. What do you think? Are we on to something?”. That should get the conversation going. Q: Why does a person become a mentor and what is the biggest motivation for mentors to be active in mentoring? A: There are as many reasons as the are mentors, but to my experience the strongest motivation the great mentors share is the desire to give back. They feel motivated by being able to help someone and by the very human feeling meaning, purpose & happiness that helping others brings. Startups are business and business is good. Almost every mentor I know are active for their own reasons. For some mentoring is about market insight and personal development: In Mesensei we call this motivation as “Learning by teaching”. Others seek to increase their contact networks that is “Raise social capital”. However, most of the mentors are looking after the deal flow of investment opportunities, or leads for providing business services: The “Angels, Coaches and Consultants”. Personally, I do mentoring for all of the above reasons, but not necessary at all times and at the same time. The reasons for mentoring have shifted over the time for me and keep shifting as my personal objectives, assets and skills evolve. Q: How can somebody find a startup mentor for their idea? A: It really depends on the stage your startup is in. For early stage startups start from the events, bootcamps, incubators and accelerators which provide assisted matchmaking. Later on the journey you will gain new connections among business angels, fellow startup entrepreneurs, and senior corporate executives. If you can go directly to them, lucky you! If not, then start with active mentors in the scene. They are usually super connectors and in the best position to help you to take the next step. Mentors are also increasingly more online —check for example the *ship Mobile App from iTunes and GooglePlay! To meet Tuukka and his team, you can go to Slush on 30.11–1.12.2017 and continue the conversations on mentoring. They are located at their demo booth at C.5 on Day 2 of Slush. Specially they are calling for all accelerators, businesses, charities and educational institutions to visit and get familiar with their mentoring app. Author: Antti Viitanen, main organizer of *ship – The Startup Festival. Antti is passionate about everything involving startups and entrepreneurship. Working at the office is never boring when Antti is around. Networking and entrepreneurship experiences What is *ship 2018 about?